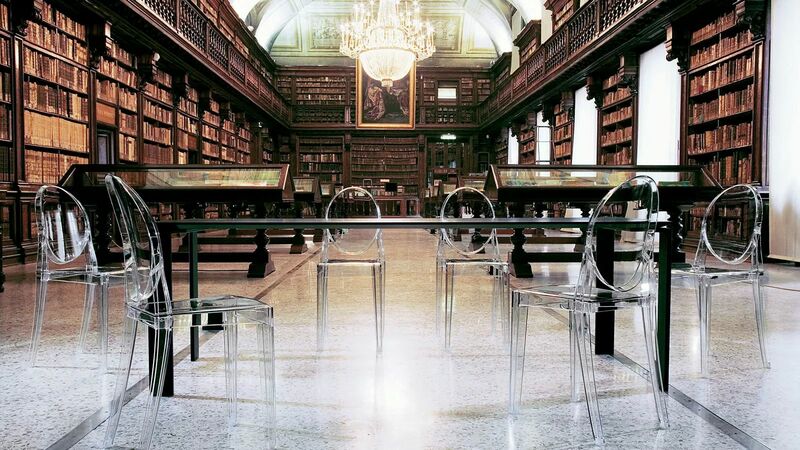 The Victoria Ghost Chair by Philippe Starck. 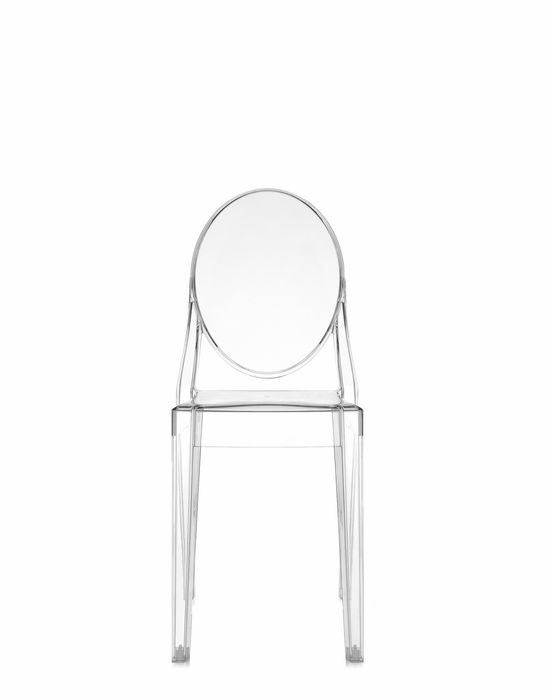 This Victoria Ghost chair is born of classic lines whose rounded backrest recalls the shape of antique medallions, whilst the seat is linear and geometric. 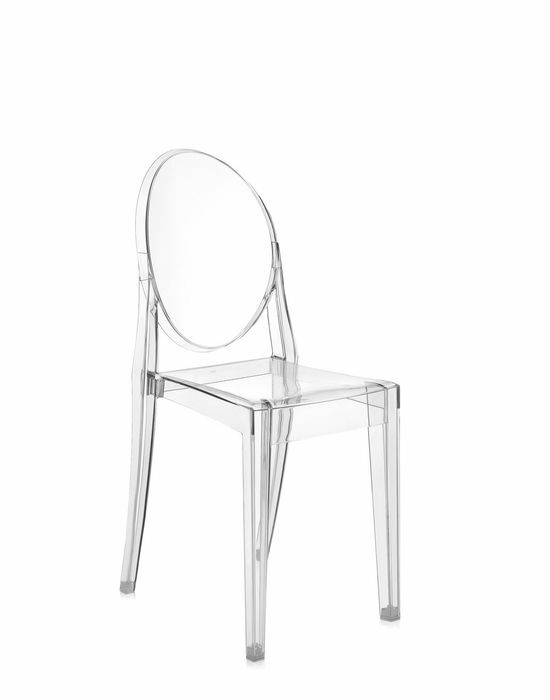 The chair is made from transparent polycarbonate formed in a single injection mould. 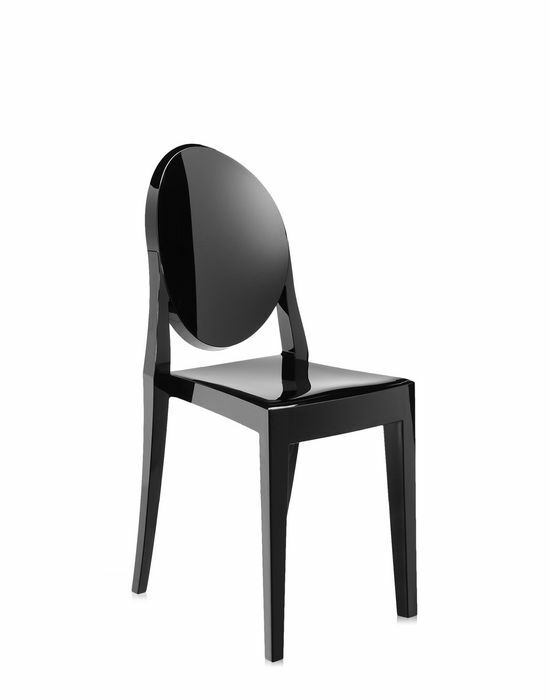 It makes a great dining or occasional chair and can be matched perfectly with the Louis Ghost chair which acts as a great carver chair for dining perfection. 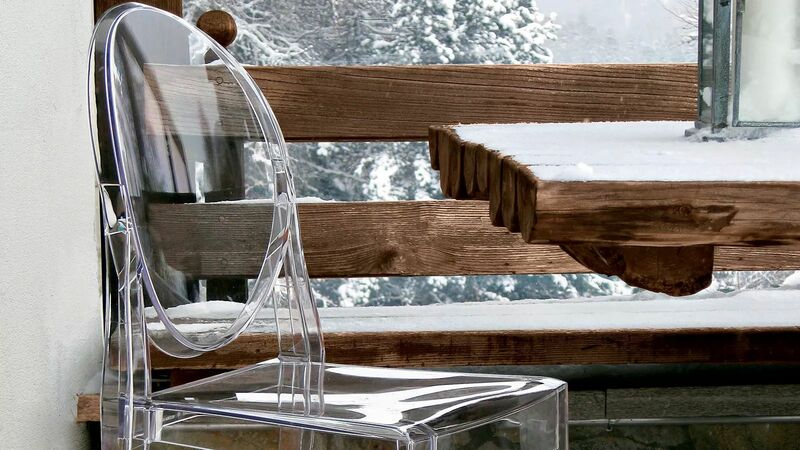 Materials: Clear or transparent polycarbonate. 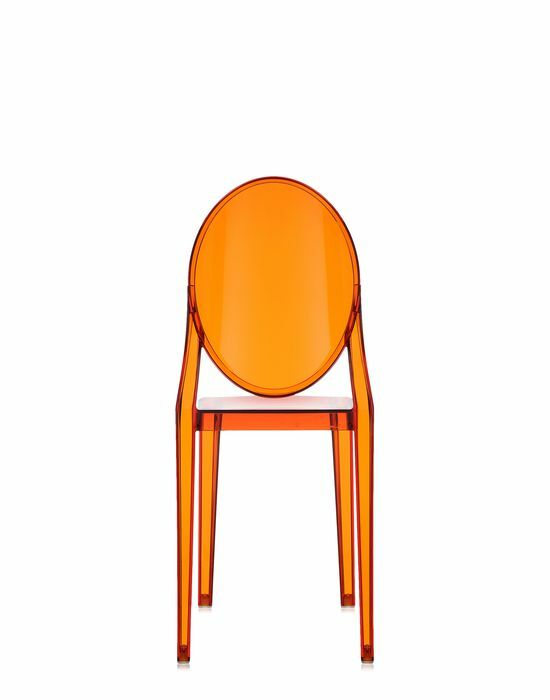 Available to order colours (prices on request): E6 gloss black; E5 gloss white; P9 transparent smoke grey; E3 transparent orange; P2 transparent blue; and P8 transparent green.